FOUR STAR MARY - We rock. So do you. “Pieces Part I” has been released!!!!! Following the successful promotional tour of the UK this past November, this release via CD Baby is the first installment of a planned four-part effort. The new work was conceived as a serial album that will be released in 4 parts over the course of a year. We thought it would be fun release 3 song mini EP’s every 3 months so there would be new FSM music to surprise your friends with throughout the year. Have a listen and spread the word of new FSM music to the world. This entry was posted in Album, New Music and tagged four star mary. Bookmark the permalink. Oh no… now it’s getting REAL, people! We’ve gotten so carried away with this whole “Recording an album” and “playing shows” thing, that we’ve gone and gotten a DRUMMER! He’s even made it onto the tour poster! Everyone, please welcome Steve “Boomstick” Wilson to the band. Once a member of The Dead Kennedys and t.A.T.u. (seriously, you can Wikipedia this guy…) Wilson is now consigned to wander the Earth with FOUR STAR MARY… until he can plot an escape.  This entry was posted in Tour and tagged dead kennedys, drummer, four star mary, members, steve "broomstick" wilson, t.A.T.u.. Bookmark the permalink. 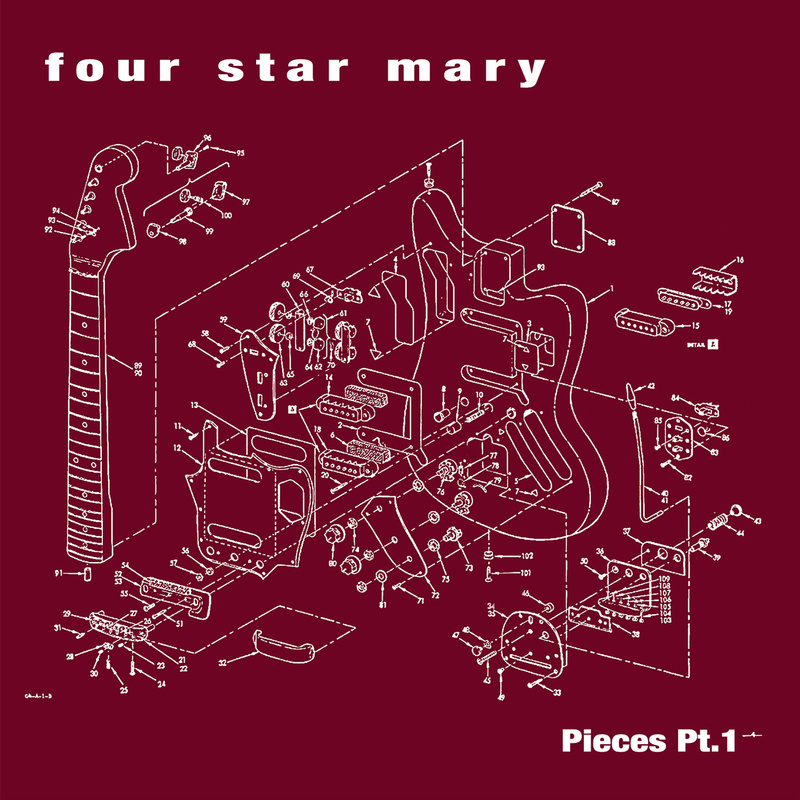 What better way to start off your week than with a new Four Star Mary song “Pieces”. This is an acoustic version of the title track of the next FSM album, oddly enough called “Pieces”. We are getting ready for our upcoming tour to the UK so follow along so you can sing it with us when we hit the UK…. This entry was posted in Album, Live Performance, New Music, UK, Video and tagged alternative, btvs, buffy the vampire slayer, dingoes ate my baby, four star mary, new music, oz, rock. Bookmark the permalink. Kickstarter Campaign for “Pieces” is Going NOW! CLICK HERE to visit our Kickstarter page. This entry was posted in Album, Audio, New Music. Bookmark the permalink. Have you heard? FSM is playing the Wales Comic Con this November 29th! ZU will be there with Tad, Derrick and FSM Alum Steve. We are bringing the FSM show to the UK so you better not miss it…. 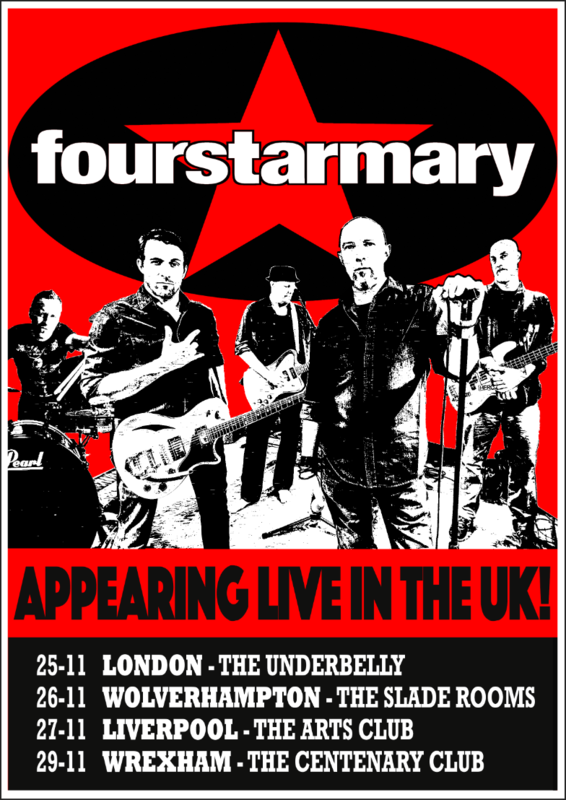 Follow FOUR STAR MARY on Twitter to keep in the loop for other possible shows.. and hope to see you soon! This entry was posted in Live Performance, Shows, Tour, UK. Bookmark the permalink. At the urging of our friend Jamie who’s been patiently waiting for a more up tempo new FSM song we offer the latest demo from the studio. This song is sure to fill your Friday with some FSM goodness. Let us know what you think and we plan on seeing everyone in the UK really soon…..wink, wink…….